I had thought that one advantage we’d have in coming to Israel at this time would be shorter lines. However upon arriving at Ben Gurion airport in Israel this afternoon I was pleasantly surprised by the long line at Passport Control. It seems our people are still coming to Israel and in good numbers! 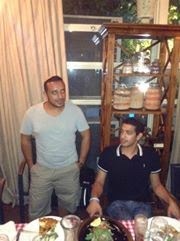 We gathered our bags and headed for dinner at which we had the honor of hearing from two soldiers, Avi and Aviad. Both were in their early to mid 20’s and both donned kippot. Avi who spoke first said he was sent to the front lines to speak to the troops and motivate them in their important and dangerous missions. He shared that what he tells the troops is that we, the Jewish people have been around for over 3000 years with many enemies but none who have ever been successful. We are God’s eternal people…”this is our land”, said Avi “and we are not leaving”. The next soldier who spoke, Avi, told us that in Gaza he killed a terrorist by shooting him in the chest with his M-4 long range rifle. The terrorist was holding an RPG. He spoke in a vey matter of fact kind of way but in no way was he bragging, just sharing his experiences. When I asked him if he was happy about the cease fire he responded with a simple “no”. He expressed his concern that the job of dismantling Hamas’ infrastructure would be left undone and too many Israeli soldiers would have given their lives for nothing. We boarded the MJE bus and headed to our hotel in Haifa. 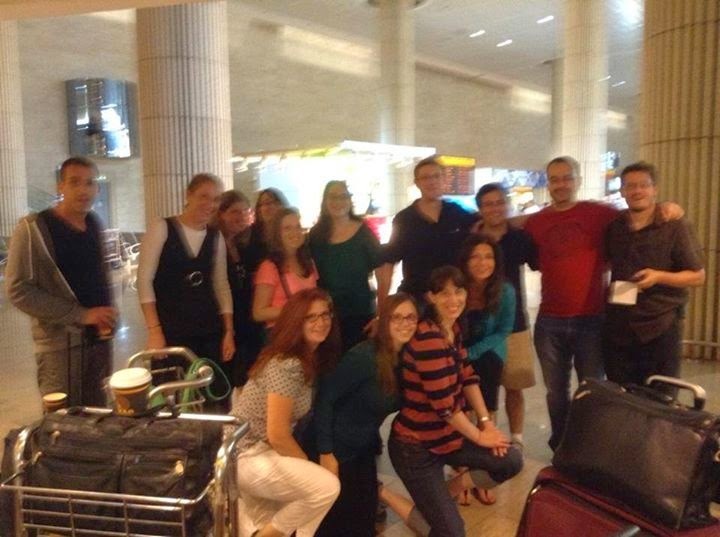 Upon entering the lobby we saw about 60 young men and women, all from the Ukraine here in Israel on a Birthright trip. I met a young man named Vlad who was thrilled to be in Israel. Although as he remarked that he was coming from his country which was at war and coming to Israel also at war, he was nonetheless thrilled to be here and meet some New York Jews. Looking around at all these Ukrainians I couldn’t help but feel pride in knowing that Israel is truly a place of “kibbutz galiyot”- an ingathering of the exiles. May we speedily merit to witness the full and complete ingathering of Jews from all over the world, as our holy prophets declared in the Torah.